**Chairs come in assorted colors. 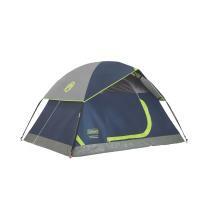 Kit includes the 2-Person "Explorer" Dome tent, 2 "Sportline" quad-fold chairs with footrests, along with 2 color coordinated "Solo" 3 lb sleeping bags. Bags can be zipped together to create one oversized bag for couples. 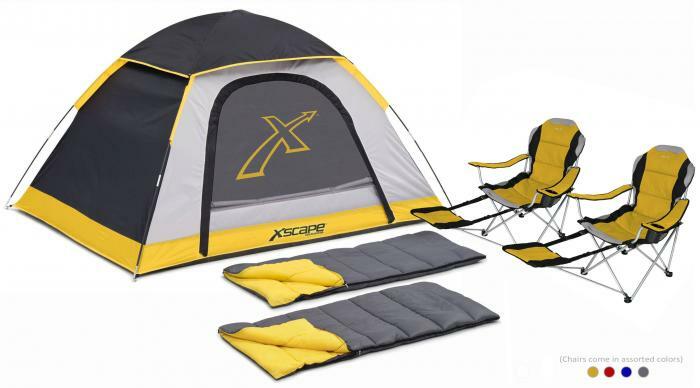 Xscape is based on the premise that tents and camping equipment don't have to look drab to be functional.